Plot: An outbreak of a cordyceps-like infection has turned the United States into a savage land filled with death and decay. A single father from Texas named Joel now lives in a Boston quarantine zone, smuggling goods to make a living. One day a member of a rebel group called the Fireflies asks Joel and his friend Tess to smuggle a very important package to a group of Fireflies outside the quarantined zone. The package is a teenage girl named Ellie who is quickly discovered to be immune to the cordyceps infection. Together, Joel and Ellie travel across the remains of the United States to reach the Fireflies, battling infected, bandits, and even the military to accomplish their goal. 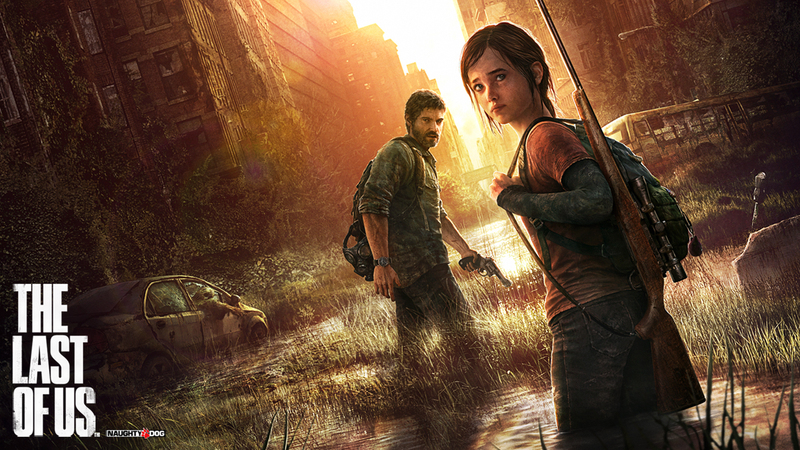 It’s safe to say that The Last of Us is one of the most anticipated games of the year. 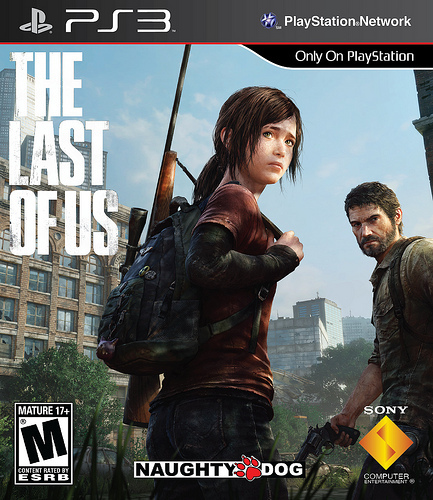 The Last of Us is the brand new addition to the already sterling line up of Naughty Dog titles, ranging from the original PlayStation to the current PlayStation 3 and beyond. Their last entry, Uncharted 3: Drake’s Deception, received universal acclaim for its gameplay and beautiful graphics. Naughty Dog is widely viewed as the premiere PlayStation exclusive company as well delivering hit PlayStation franchises Crash Bandicoot, Jak and Daxter, and the aforementioned Uncharted. So expectations were naturally very high for The Last of Us to really blow everyone out of the water and give the PlayStation 3 one hell of a finish in its final year. Early previews made the game look incredible, but every gamer knows that looks can be deceiving. Even the best looking titles in previews end up being total crap once the game actually comes out. The Last of Us came out on June 14th and I only recently played through this survival horror game in its entirety. Is it one of those many games that doesn’t live up to the hype, or does it transcend all expectations to become that golden title to nearly wrap up the PlayStation 3’s run in a beautiful bow? This game, from start to finish, is a truly amazing title that is a must play for anyone who even remotely enjoys video games. To break it down, one of the most appealing aspects about the game is simply how beautiful it looks. It’s clear that Naughty Dog wanted to push the PlayStation 3 to its graphical limits and they obviously succeeded in this. I have played a ton of video games in my time but this is easily the best looking title I have ever had the pleasure of playing. It’s even better than Uncharted 3, which many thought was the best the PlayStation 3 could be. The motion capture for all characters is done beautifully, especially with the main characters Joel (voiced and motion captured by Troy Baker) and Ellie (voice and motion captured by Ashley Johnson). Even the tiniest details like Joel’s beard and Ellie’s slight facial motions come across as realistic. The game also sounds amazing as well. From the stellar voice acting to the outstanding score, it’s as much of an auditory journey as it is visual. Each voice actor involved is able to expertly portray each characters history and emotion which really just brings you even deeper into the narrative. It felt like I was watching a movie. It’s clear that Naughty Dog went through this game with a fine toothed comb and it all paid off in the end. Speaking of the narrative, the emotional depth of this game is unparalleled. Even though I saw the fact that Ellie was immune to the infection a mile away (why else would she be so important? ), that only enhanced the story. 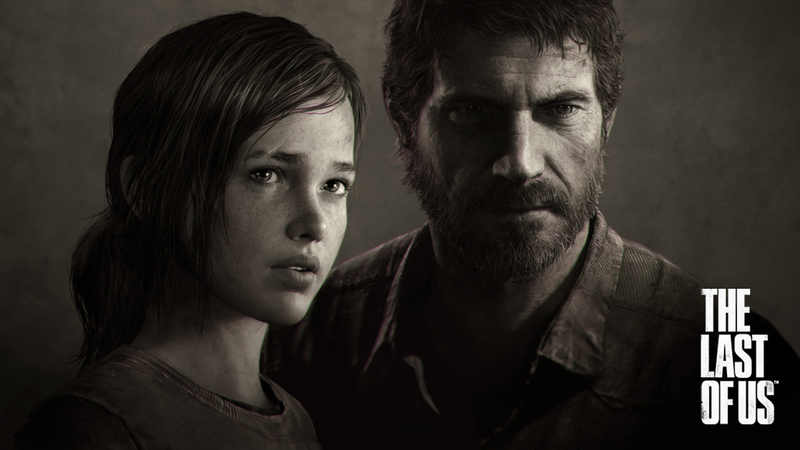 The 17+ hour journey you follow Joel and Ellie on brings you through the emotional ringer. You feel fear, sadness, anger, hope, and at times even joy. Yes, even this nightmarish hellhole that was the United States can have its good moments. Then again, those moments revolve almost exclusively around Ellie as she still has some of that childlike and carefree attitude all teenagers have. It’s a testament to everyone involved that I can still laugh from time to time during this game when I’m not shooting someone’s head. I refuse to say what happens in both the beginning and the end of the game, but I will say that both hold emotional depth unlike any other. In the first 12 minutes it feels like someone punched you in the stomach repeatedly, and your emotional journey has only just begin. The real star of the game however, outside of the beautiful graphics, narrative, and sound, is the gameplay. The gameplay retains some familiar elements from Uncharted like ducking behind obstacles and how to shoot a gun, so if you’ve played those titles you already have a good idea of what to expect. However, the game one-ups this by making ammo extremely scarce and making even the smallest movement into an alarm to attract a whole horde of enemies. This brings the gameplay into a whole new, interactive level that has never been done before. My first play through was on hard mode and let me tell you, there was a lot of sneaking going on. Running out with guns blazing really does not work in almost all aspects of this game. You have to utilize items around you like bricks or bottles to distract the enemy and get the upper hand. You can use these items to divert the enemy’s attention elsewhere or to stun them and get a silent kill in. There is also an extremely intricate crafting feature within the game that allows you to create dangerous items out of regular objects on the fly. Resources are scarce however, and all items can be used to make multiple things. For example, alcohol and paper can be used to make a Molotov cocktail or a first aid kit. If you only have enough for one, then you have to decide based on your current situation which is more valuable. This is where strategy comes into play. Be careful though, you craft items in real time. This means that any enemy can interrupt your crafting process if they attack you, so be sure to hide somewhere where you can’t be seen. The AI for this game is one of the best I have ever seen as well. Ellie herself is controlled by the AI for most of the game, but there are parts where she does take control. This game is unlike other titles where you can easily predict where an enemy will come from and just shoot once they come into sight. Dying once to get the low down of where an enemy will go so you can get the upper hand the second time simply won’t work. There was a part later on in the game where I died multiple times, and every single time the enemies changed their tactics. What almost worked one time would not work the other times. The settings are all extremely detailed as well with multiple different places to hide or sneak around. This however also means that the enemy has plenty of options to catch you off guard as well. A feature that the player has to their advantage is the ability to listen to their surroundings to gauge where the enemy is. As Joel, you can crouch behind a wall and listen to any ambient noise that the people or things hunting you might be making. This allows you to see where the enemy is regardless of what is between you and them. However, if your enemy isn’t making any noise, as in they are crouching in wait for you, you can’t see them. That just makes it even more nerve-wracking. Speaking of enemies, there are three main foes you will face during the game: bandits, the military, and infected. Bandits are your run of the mill bad guys who will attack you with a wide array of weapons. They have shotguns, pipes, pistols, Molotov cocktails, etc. A steady hand or quiet movements can give you the upper hand against these enemies. The military is a more upgraded version of the bandits in that they have stronger weapons and are usually covered in armor. This makes killing them head on incredibly difficult, not that I would recommend that in any case. Most of the game you spend running away from the military, but those parts where you do fight them are extremely difficult. Be extra careful whenever you fight them. The infected are a completely different story. Not only are those infected with the cordyceps plague ferocious, mindless beasts out for human flesh, but there are many different levels of them. People who are recently infected with the plague retain some sense of self, but can’t control their cannibalistic actions. Those in the very early stages are usually stationary as the plague takes over their body, making them easy kills if you’re silent, but those farther on roam the area seeking their next kill. The ones in the early stage are known as Runners while the ones with a deeper infection are called Stalkers. There isn’t much of a difference between Runners and Stalkers as both can be killed through conventional means. It’s when Stage 3 rolls around that things really go to hell. The infected person becomes a Clicker at Stage 3, which is when the fungus has completely blinded them and they can only see using echolocation – like a bat. Clickers instantly kill you once they find you, and the only way to kill them is by shooting them or silently stabbing them with a shiv. Seeing as firing a single shot will attract all Clickers in the area, that’s a bad idea, and seeing as shivs break in one use early on, fighting head on is extremely difficult. Burning them with a Molotov or a flamethrower works wonders, but that isn’t a recommended go to plan until much later. The final stage of infected turns the person into a Bloater where the fungus makes a powerful armor and they can throw balls of spores at you. Bloaters are extremely difficult to kill and pose an immense threat regardless of how prepared you are. 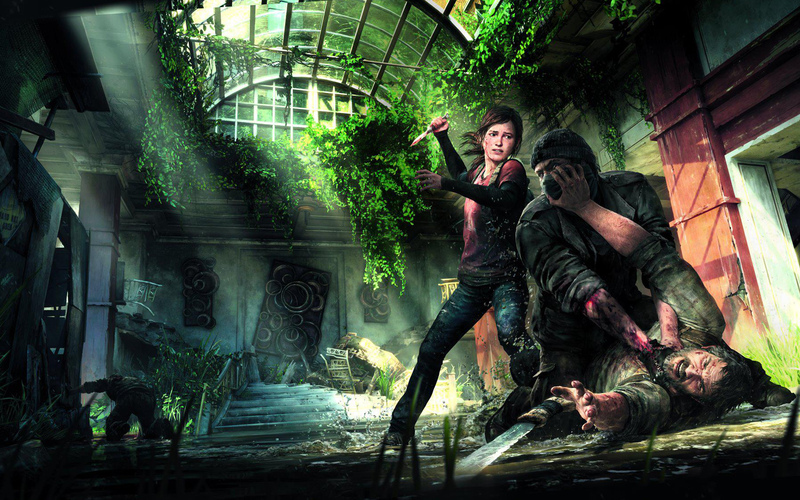 Outside of the main story, The Last of Us features a surprisingly robust multiplayer feature. The multiplayer option features two modes: Supply Raid and Survivors. Both are like Team Deathmatch, but in Survivors you only have one life per round. Basically you have to be extra careful or else you will die very quickly. Each player has their own clan as well which grows based on your progress in multiplayer. There is a twelve week story for each clan, and even member has their own names and personal accomplishments. It’s extra depth where depth wasn’t even needed, but that’s Naughty Dog making sure we get the fullest experience possible. I haven’t played a lot of multiplayer for The Last of Us so far, but I have played enough to say that it is really fun. It’s a lot like the main story, with item creation and everything. Early players are at a bit of a disadvantage as there’s a great chance you’ll be up against someone decked out in armor and tons of guns, but it doesn’t take long for you to get your bearings. The PlayStation 3 is on its final year as Sony’s main console, and Naughty Dog gives it the perfect send off with The Last of Us. 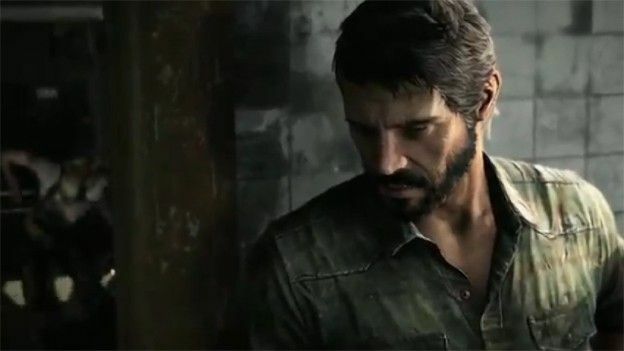 Granted there are still some big name titles coming out this summer, like Beyond: Two Souls, but this is more of Naughty Dog’s way of saying it’s time to move on to the next installment. The Last of Us is the perfect PlayStation title, and easily one of the best games of this entire console generation. It’s a guaranteed frontrunner for multiple Game of the Year Awards, and if Naughty Dog wanted to turn this into another several game franchise, I’d be absolutely fine with that. With gorgeous graphics, intuitive AI and gameplay, a robust multiplayer, and an extremely detailed and emotional narrative, The Last of Us is everything you could have ever wanted it to be.